Need to Focus? 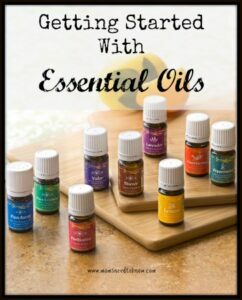 Try These Essential Oils! Sometimes staying focused on only one thing at a time is super hard! We are taught early in life that to be successful you must master multitasking. Well, wouldn't you know it that studies now show that you waste more time when you multitask then when you just sit down and focus on one task at a time? In case you need to focus, try these essential oils. They all work great combined with natural carrier oils or in your diffuser! Neroli Essential Oil is part of the citrus family of essential oils. It has a soft, uplifting scent that helps keep your mind focused. Just note though that if you use too much of Neroli, it can have the opposite affect of focus and put you to sleep! When used properly it helps you to let go of outside stressors and stay in the moment. Use just a few drops in your diffuser for when it is focus time. Vetiver Essential Oil helps to calm you down, ground you in the moment, and stabilize the central nervous system when you are overstimulated. You can add a drop or two to the bottom of your feet, especially your big toe, or add it to a carrier oil and massage into your temples. You can also simply unscrew the cap and breathe deeply for a few minutes for the effects of Vetiver to wash over you. Brain Power from Young Living has a powerful blend of essential oils. When Lavender, Blue Cypress, Frankincense, Melissa, Cedarwood, Helichrysum, and Sandalwood are combined together they help you to have a deeper focus. Add a few drops to your favorite carrier oil and dab the combination onto the back of the neck or diffuse it when you need to get your brain into a deep focused and clarified state. Clarity Essential Oil Blend by Young Living combines Cardamom, Rosemary, Peppermint, Basil, Bergamot, Geranium, Jasmine, Lemon, Palmarosa, Roman Chamomile, Rosewood, and Ylang Ylang Essential Oils. Rosemary has long been shown to boost mental clarity and focus. 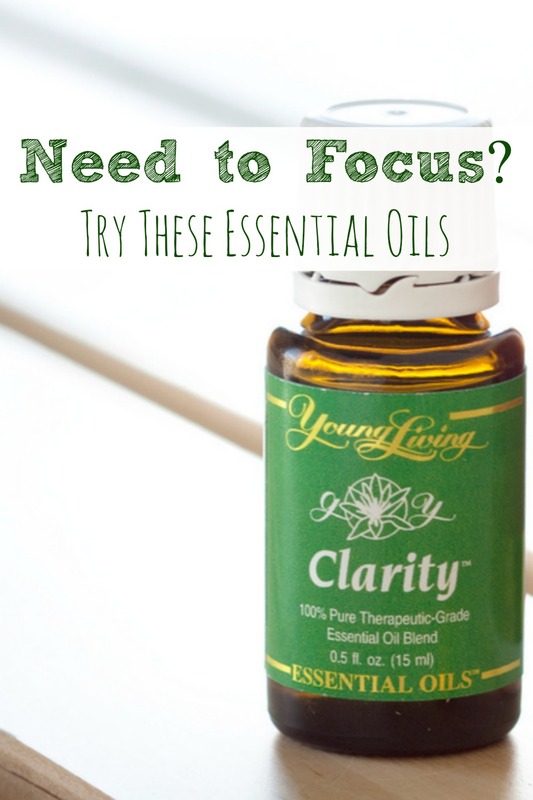 These oils make one focus-based blend that is needed when you have that deadline looming!